If you ever dreamed of living in a golf course community with access to two other golf courses within 5 minutes by car and ten minutes´ drive to the beach, then here is your opportunity. Las Ramblas Golf course is situated in Orihuela Costa, only 10 kilometres south of Torrevieja on the Costa Blanca, Spain. This is the ideal place for a golfing holiday or for permanent living if you are looking for the peacefulness of a beautiful natural environment. Besides, Las Ramblas Golf is within easy reach of Alicante-Elche and Murcia airports thanks to the AP-7 motorway access nearby. Las Ramblas golf course opened in 1991 and was designed by Pepe Gancedo, who is known as the "Picasso" of the golf course designers. On his portfolio there are several courses in Spain, Portugal and the Dominican Republic. Las Ramblas golf course is integrated into a beautiful landscape of Mediterranean pine trees and its route and environment fascinates many players who try this challenging field. The greens are broad and generous, with quick and gentle slopes. Las Ramblas also has a modern and cozy clubhouse and great practice facilities. 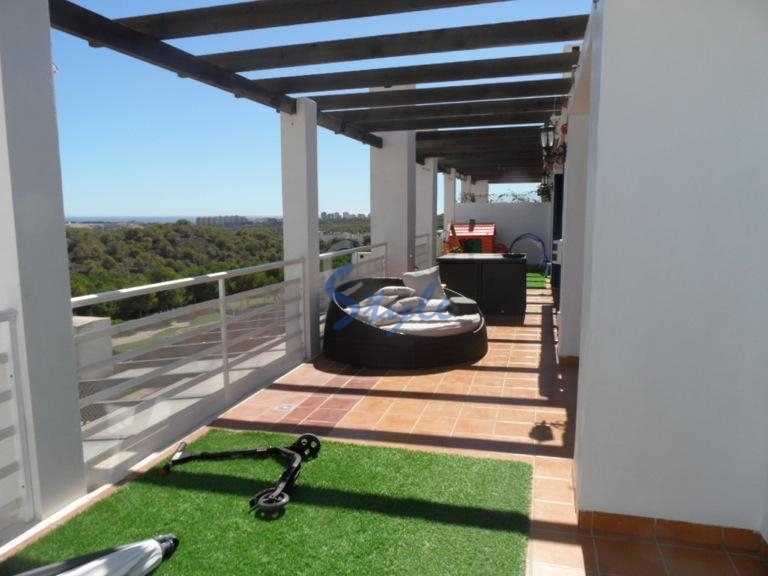 E-Style Spain offers you a large selection of property for sale in Las Ramblas Golf, Orihuela Costa, Costa Blanca, Spain. You can choose among apartments, penthouses, townhouses and detached villas frontline of golf with great views in a luxury complex. And remember, the value of a home on a golf course will always go up.